Ålesund (Aalesund) is a must if you are visiting Norway! Travellers either arrive on a cruise ship, by plane or drive from Oslo to explore our Vikings traditions, Art Nouveau architecture from the 19´century and last but not least, the incredible nature surrounding it; including the fjords, the Alps of Sunnmøre and the islands. The main city connects to the islands through tunnels that go 150m undersea and some bridges. Vigra and Giske are the top kitesurfing spots around here! Norway is a pearl for kiteboarding. There are few places in the world where you get off a plane and in a matter of a few minutes, you can be at the kite spot. Regardless of where the wind is coming from, if it`s windy, you´ll be kiting! The Island of Vigra has three kiting spots to suit all the wind directions, and it's just a 6-minute drive from one place to the other. The wind is almost always present, but although there are no waves, it can be super choppy at times. We are lucky to live in this "almost" kite paradise; I say "almost" because cause we would like it a bit warmer, but nothing is perfect! The locals genuinely believe that when the conditions are right, there is no place in the world they'd rather be. At the end of May, the Vigra Kite Festival is a must; it`s a 3-day kite fest with a race, jam, and party. It is not the warmest time of the year, but then there is good wind guaranteed 99% of the time and with a bit of luck, maybe even an NE wind. The Kite Festival takes place at Roaldsanden; a top spot for freestyle around here! The festival started in 2016, and since then it's just getting bigger and better every year! There are kite demos, sauna, midnight kiting (since it doesn´t get dark). The festival is not just for adults, every year more and more youngsters are getting into the sport and showing up at the festival. You should check it out! This area is well-known for its stormy weather and wind all year round, but we do have some lazy months. In Autumn we have a lot of storms coming from the SW-W and in the winter time, it rains and snows, but it doesn't stay long on the islands. From November to March we generally use a 6/5 or 5/5 mm wetsuit, and in the summer and the rest of the year, it is ok with a 5/3. In the winter time, many riders switch their boards for skis or snowboards, and we have some sweet snowkiting spots not so far away from Ålesund with incredible views of the fjords! In Spring it is predominantly N-NE but does still get a few storms! When people talk about Norway and everyone assumes it super cold here, but they can be wrong! In the winter time there is snow, but in the summertime, it can be hot; not Caribbean-warm, but good enough! In May this year 2018, we had terrific warm weather; even warmer than Spain. July and August have many light wind days, but that's not so bad since there is so much to explore and do around here. Something worth considering when visiting Norway is that the winter days are way shorter than in other places, but we still have daytime hours. While in the summertime, it doesn't get dark and we lose track of the stars from April to almost the end of July! The transport in the islands and to the city is not the best, but once you arrive at the airport, there are buses; make sure you know where they are heading. The best option, as usual, is to rent a car at the airport. A taxi will costs between 350 -400 km (35 to 40 Euros) from the airport to Alesund centre. Aalesund is tiny, beautiful and safe and worth taking a walk around. At Vigra and Giske islands you find some small shops for buying food and drinks, or you can buy something at the café at the only gas station. There are many excellent restaurants and pubs in Ålesund. Wine and liquor are sold either at restaurants or pubs which is not cheap. Otherwise, you buy it at Vinmonopol that is regulated by the state and is way less expensive. 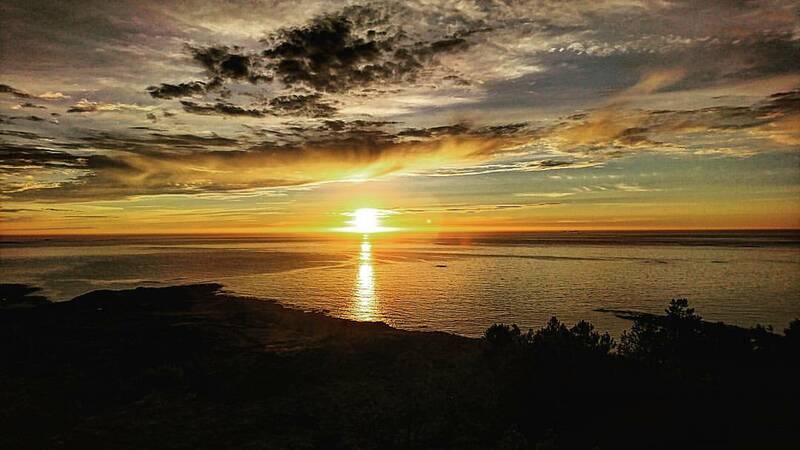 If you are staying in Vigra or Giske and have a group of friends, then you can have your party otherwise it's better to get transport to Aalesund city for a good night out! There are so many things you can do in case there is little or no wind depending on the season. In the summertime, you can play golf at Giske Glofklubb, rent a bike in Ålesund and cycle to the aquarium or kayaking in the fjords. Wildlife sea safaris and diving are also very popular in the area, or you can go hiking in the mountains, visit the museums and some lighthouses. There are also some fun music concerts, international music festivals, boat festivals and food festivals, all you have to do is ask around, you won't get bored here. In the winter you can't miss Strandafjellet skisenteret, Norway's best off-piste skiing resort. You can go rando (randonée) tours to the mountains, go cross-country skiing or snowshoeing. At night, when there are no clouds, you can search for the Northern Lights! In general, we have good internet with 4G, but at Blimsanden it is not the best. There is no free wifi on the island of Vigra or Giske, but the supermarkets and have free wifi and of course the cafés. In the summertime, you can camp at the beaches of Blimsanden and Roaldsanden. Unfortunately, the only one with a toilette is Blimsanden for now. You should check out Air BnB, and prices usually start at 17 EU/night. There are also cabins for rent and a small hotel on the islands. It is quite there, so if you are looking for a little more action, you should stay in Ålesund city centre as there are many nice hotels, good restaurants, and pubs. It gets hectic from April to Septemeber during high season, so its wise to book ahead if you want to rent a cabin or hotel. Marcela is a Chilean Mountain guide that fell in love with kiteboarding! In 2015, she became an IKO instructor and in 2016 started her own kiteboarding school in Norway. Her main focus is to try to promote this awesome sport , especially among kids. They offer kite camps and Snow kiting trips as well. Been to Ålesund? What did you think? 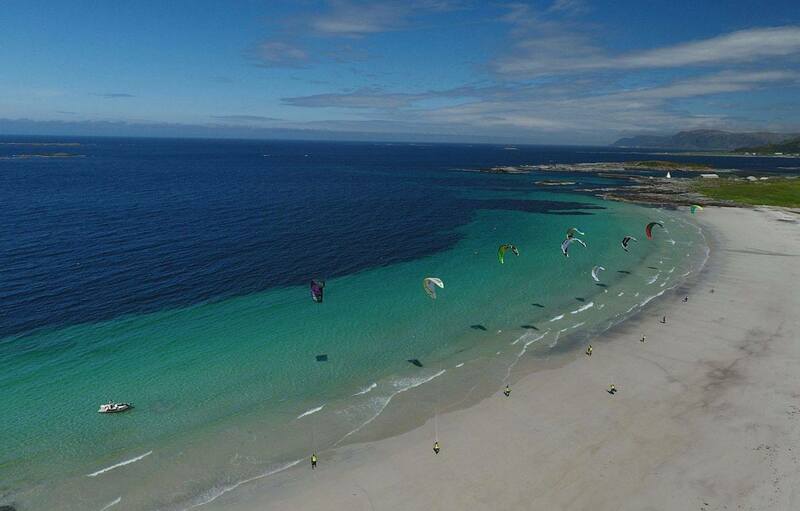 Where are the Best Kitesurfing Beaches in Ålesund? Roaldsanden is our favourite spot! It works with NE-ENE-E(onshore)-ESE. It is mostly flat water in the lagoon that is formed from a sandbank that is 150m from the beach, and it is beautiful. There are no toilettes around here, but there are a lot of trees! The closest gas station is 5 km away, and you can always use their toilette. Blimsanden is cool, and you can drive your car to the beach, but be careful, you can get stuck some days if the sand is too dry! It works with NNE-N-NW(onshore)-W-WNW-WSW. 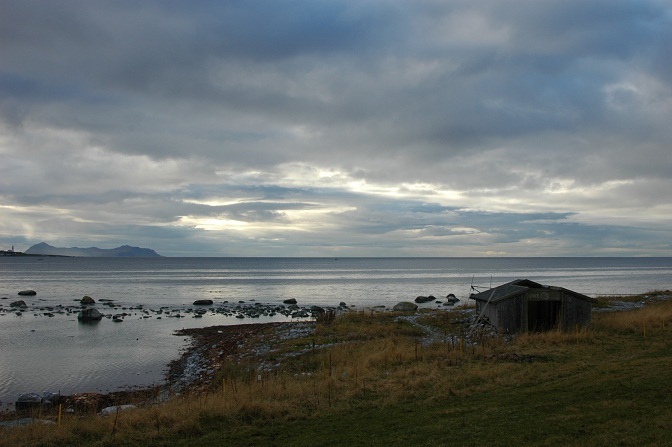 Blimsanden is the most visited beach at Vigra, so always be aware of the other kiters. The good news is; there is a toilet (but no shower) that is open to the public from May to October. On NNE days you can choose from these two spots if one gets too crowded. Blindheimsvika is located at the southern part of the airport at Vigra. On low tide, there is this awesome beach for launching the kites, but don´t leave anything at the beach, because when the tide comes in, your things will disappear! This spot works perfectly with SW but you can also kite there with WSW-SSW-S(onshore)-SSE, but it can be gusty. Unfortunately, there are no toilettes here. This spot is safe for teaching even in rough weather as you can walk like 250m into the sea and the water is still waist-deep. The smallest of the island group is Gikse, and you can walk around it in just an hour, and it is in between Valderøya and Godøya. It has two spots on the northern part, Kvalneset and it works with NW-NE and the other side right beside Ocean Sound Recording, Storevika. It is best with N(onshore)-NE winds. 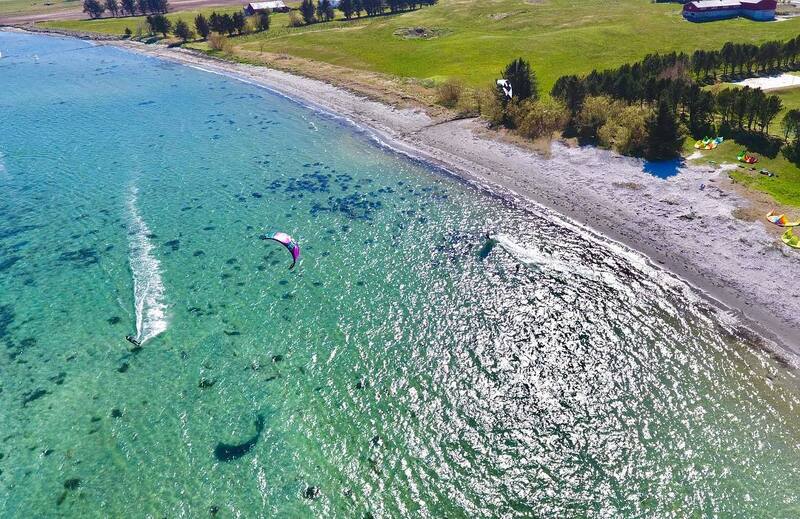 The beach is quite small, so even six kiters will make it feel crowded! When is the Best Time to go Kitesurfing in Ålesund?